We study the value of data privacy in a game-theoretic model of trading private data, where a data collector purchases private data from strategic data subjects (individuals) through an incentive mechanism. The private data of each individual represents her knowledge about an underlying state, which is the information that the data collector desires to learn. Different from most of the existing work on privacy-aware surveys, our model does not assume the data collector to be trustworthy. Then, an individual takes full control of its own data privacy and reports only a privacy-preserving version of her data. In this paper, the value of epsilon units of privacy is measured by the minimum payment of all nonnegative payment mechanisms, under which an individual’s best response at a Nash equilibrium is to report the data with a privacy level of epsilon. The higher epsilon is, the less private the reported data is. We derive lower and upper bounds on the value of privacy which are asymptotically tight as the number of data subjects becomes large. Specifically, the lower bound assures that it is impossible to use less amount of payment to buy epsilon units of privacy, and the upper bound is given by an achievable payment mechanism that we designed. Based on these fundamental limits, we further derive lower and upper bounds on the minimum total payment for the data collector to achieve a given learning accuracy target, and show that the total payment of the designed mechanism is at most one individual’s payment away from the minimum. Weina Wang received her B.E. degree in Electronic Engineering from Tsinghua University,Beijing, China, in 2009. She is currently pursuing a Ph.D. degree in the School of Electrical,Computer and Energy Engineering at Arizona State University, Tempe, AZ. 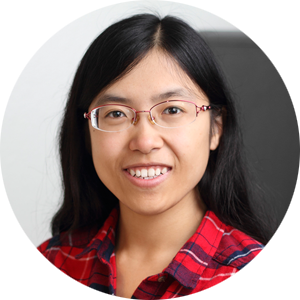 Her research interests include resource allocation in stochastic networks, data privacy and game theory. She won the Joseph A. Barkson Fellowship for the 2015–16 academic year and the UniversityGraduate Fellowship, both from Arizona State University.